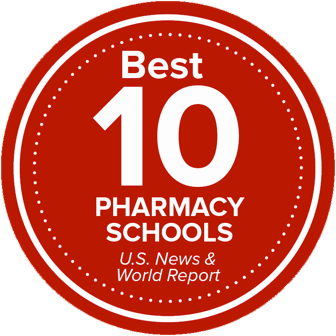 The Ohio State College of Pharmacy prepares students to become outstanding pharmacists in current practice settings and future healthcare system environments. Beginning their first year, students participate in real-world learning opportunities with an emphasis on patient-centered care, allowing for skill development, including the attitudes and values needed to become a trusted healthcare professional. Throughout the PharmD program, students will complete two types of practice experiences. The Introductory Pharmacy Practice Experiences (IPPEs) consist of 300 hours or more throughout the first three professional years. The Advanced Pharmacy Practice Experiences (APPEs) are completed in the fourth year with a minimum of 1440 hours in a variety of practice settings. The combined hours of IPPE and APPE experiences comprise over 30% of the PharmD curriculum.